Energy Innovation’s Energy Policy Simulator has been recognized as a finalist in Fast Company’s World Changing Ideas Award recognizing policies, projects, and concepts offering innovation solutions to humanity’s challenges. This research review provides an overview into different methods to produce energy from hydrogen for use in electricity, transportation, and energy storage. This research review provides an overview into climate science covering possible linkages between amplified Arctic warming temperatures and winter extremes in the U.S.
California’s February 2018 quarterly cap-and-trade auction broke its own record for number of allowances sold, but the auction heightens long-term concerns that polluters are building up a cushion of banked allowances today to comply with stricter emissions rules in future years. Renewable electricity’s levelized cost of energy became the cheapest source of new U.S. power generation in 2017, and building new wind is often cheaper than running existing coal. As renewable energy costs continue their relentless decline, fossil fuels continue to fall further from profitability. 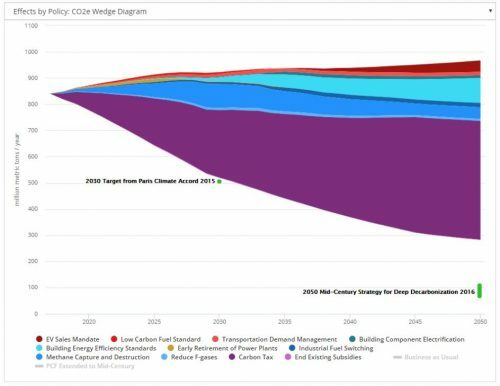 Analysis of oversupply in California’s carbon market must include the state’s 2030 emissions reduction goals and the potential for clean energy breakthroughs to decarbonize energy supplies. Hal Harvey’s Insights And Updates – China Just Launched The World’s Largest Carbon Market. Here’s How It Can Succeed. China launched a national carbon market in December and it’s already going to be the world’s largest cap-and-trade system. Here are three ways policymakers can ensure it succeeds.